The Gering Civic Center has been hosting meetings, conferences and events since 1993 with an experienced and professional staff to meet and exceed your expectations. Our expanded and newly renovated convention center offers 25,500 square feet of space to meet in style. Affordable meetings is more than a marketing tag line. The Gering Civic Center’s room rental fees are off-set by food and beverage purchases and there are no gratuity or service fees accessed. You can maximize your conference budget and ensure a great return on the investment for your next meeting. A few steps from the front doors of the Gering Civic Center is our headquarters hotel lodging at the Monument Inn & Suites, offering first-class accommodations and generous complimentary room policies for convention and meeting groups. Drive or fly, Gering’s Western Nebraska location is worth the trip! Leave the bright lights of the big city for an opportunity to see Nebraska like you’ve never seen it with golf course views, natural landmarks and evening stars as the backdrop of every meeting venue. A planner’s life is easier when you take advantage of the complimentary services offered by the Gering Convention & Visitors Bureau. We offer some of the best destination marketing tools to create enthusiasm and attendance at your event. 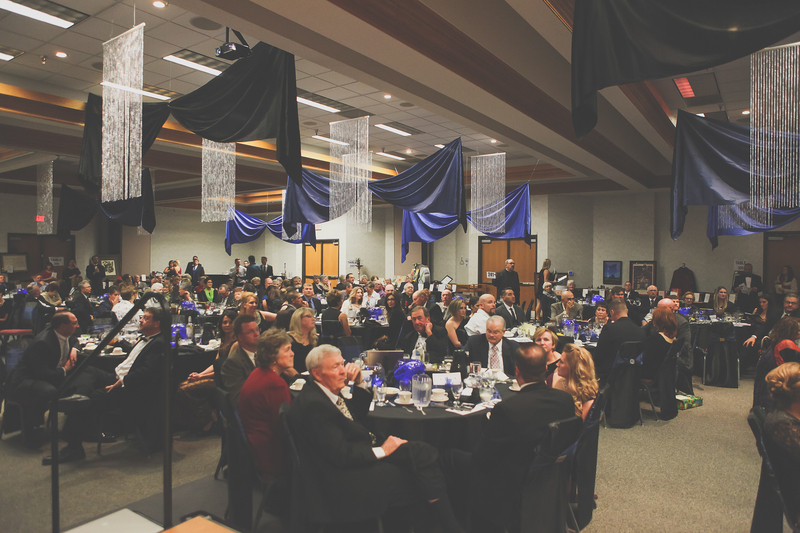 We assist you in handling every detail of your event, and we’re conveniently located in the Gering Civic Center for a one-stop-shop for service. It’s what your members will remember the most….the food makes or breaks an event. We don’t serve rubber chicken, we specialize in inventive cuisines and entrées that reflect the ethnic cultures of the area and have earned a reputation for quality that is unmatched in the region. Where extraordinary is par for the course at Gering’s Monument Shadows Golf Course; described as one of the most scenic and challenging courses in the state. Remarkable group golf packages are available here in Gering with the opportunity to then play an additional four championship courses within a 30-minute drive. Dining experiences at a variety of price points will add to the interest for your conference, especially when the restaurants and bars are within walking distance of the conference facilities. Nebraska’s corn-fed beef is always served at the 60+ area restaurants for the best steak you’ve ever eaten, together with other local favorites that include Runzas, Nebraska wines and chuck wagon barbecues. Oregon Trail history, agriculture of the great plains, national landmarks and nature trails are just a few of the low-cost activity options available in Gering. Be a trailblazer like the half a million pioneers who came before you and who heard the call to “escape and explore”! A look at Gering for your next meeting has never been easier or more efficient. You can submit an RFP and request images-information-itineraries to help you get to know us and get comfortable selecting Gering as your next meeting destination.